Dr. Aixa Goodrich is joined by special guest Dr. Aura Tovar. 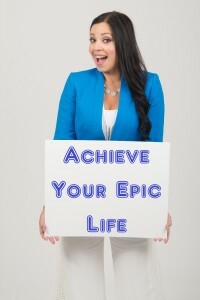 Learn some tips and tools to manifest your epic life and achieve what you want. Don't wait until January to start goal setting! If you want to make 2016 your best year yet start making those changes now. It takes 90 days to reprogram your mind, it's never too late to start. Start attracting what you want to start manifesting your EPIC life. Get rid of the negative self-talk! Talk to yourself with love and respect. Honor, accept and love who you are as you are. Get rid of your toxic relationships. Guided Meditation will be available in January 2016.